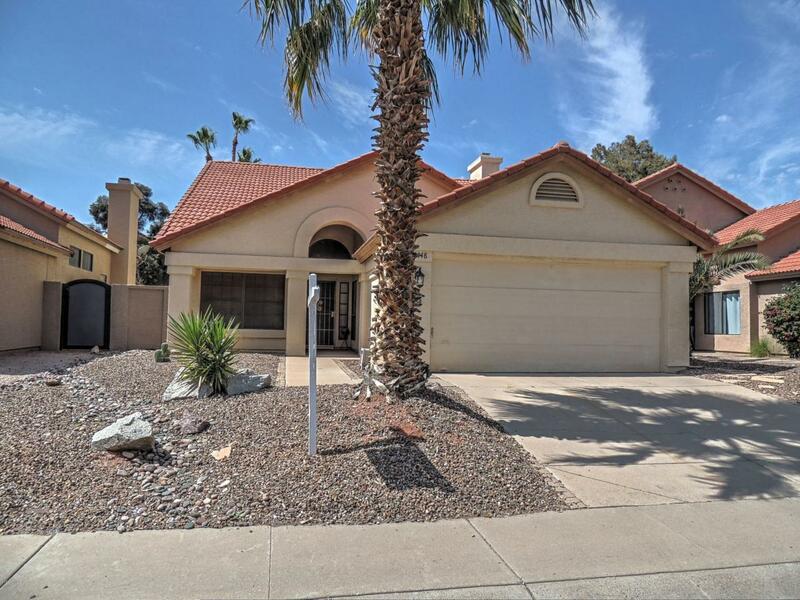 Wonderful single level home located in Mountain Park Ranch. Great floor plan with large great room with dramatic vaulted ceilings plus cozy fireplace and formal dining area, great kitchen with tons of counter space and arched windows overlooking great room. 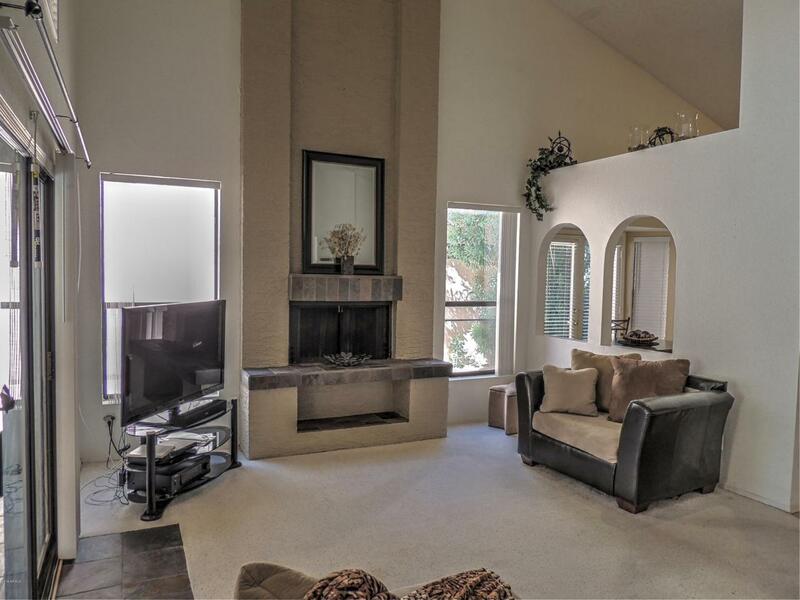 Tile in all the right places, very open light and bright floor plan. 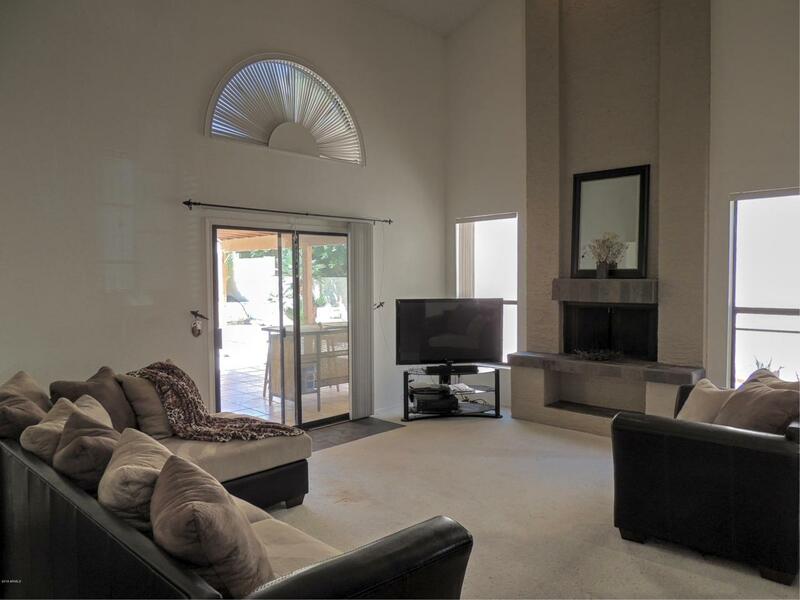 Large master bedroom with separate exit to huge covered patio. Third bedroom has a closet but does not have a door and is a perfect den/office. Mountain Park Ranch features 3 community pools, one is heated just a few blocks away, community tennis and basketball courts, bike/walking paths, plus play areas and grassy parks. 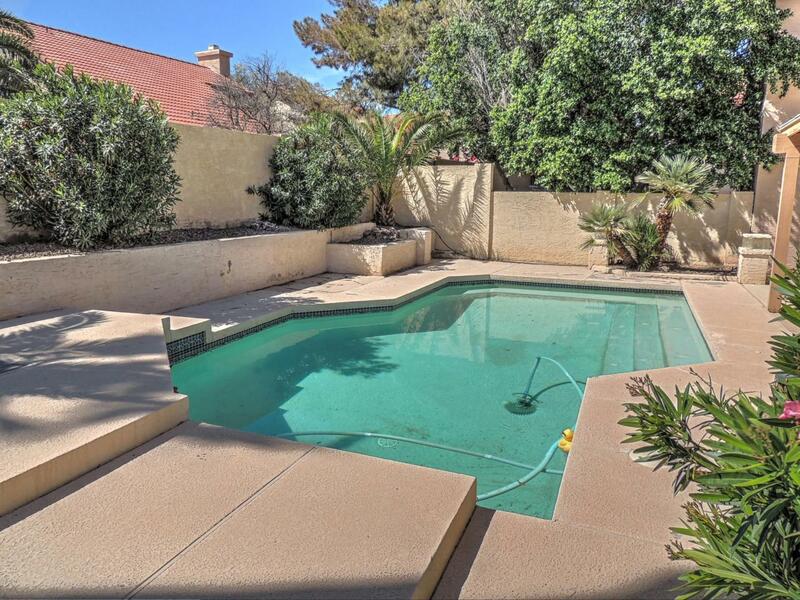 Backyard features refreshing pool and huge covered patio plus large side yard, great for entertaining.